DC Selfie Spot is a fun, memorable addition to any event. WHAT MAKES DC SELFIE SPOT GREAT AT ANY EVENT? Our DC Selfie Station design and purpose draw people in at events. It makes for a great ice breaker, especially when you add a theme, costumes, props and custom borders. It instantly connects people who may not know each other while providing cherished keepsakes. We ask a 2 hour minimum but work with Fundraisers and Charities. Flexible hours (many events are scheduled for evenings and weekends). Cutting edge technology: High resolution camera, easy-to-use touch screen and tons of extras make operations of the photo booth simple and fun. It’s fun: The Selfie Station makes people smile and laugh. How many other purchases you make can say that? 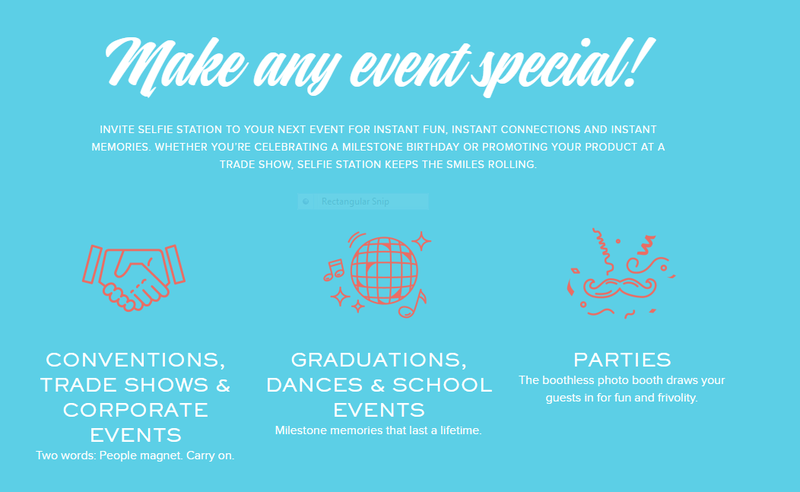 Make your event more memorable with an interactive photo booth. Your guests can print, email, text and post photos to Facebook and Twitter instantly. Call today to get on our schedule to have a professional photographer on site for your next event. All the fun of a photo booth. Without the booth.The ultimate ice breaker! Want to inject a little more fun into your event? 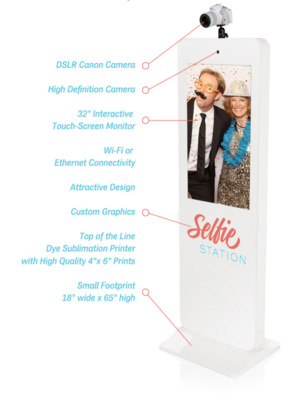 Your guests will love the Selfie Station. They’ll have a blast taking photos that make great keepsakes of the event!